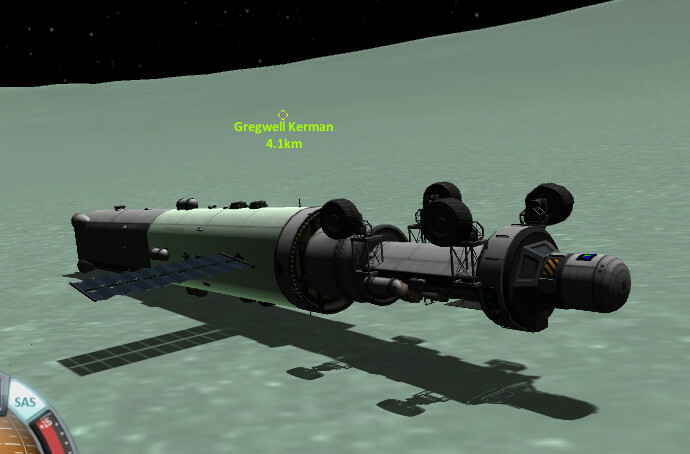 Poor Gregwell was stuck on Minmus with a possibly hostile sensor anomaly at large. We could have made him continue his investigation by *slowly* walking. 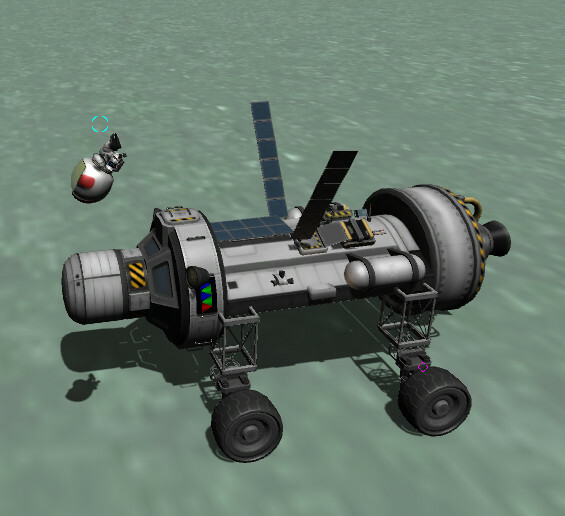 In the end we decided to send a rover at great expense. Wait, Wenxy, this was supposed to be an *unmanned* mission. Sigh. 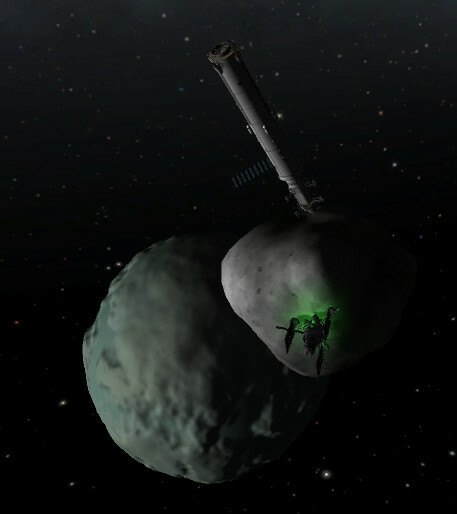 Best shot at Minmus has a Mun flyby. Hopefully this doesn't go horribly wrong. 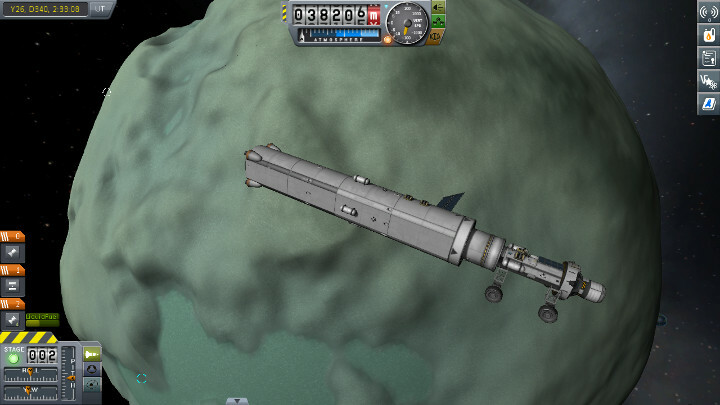 We stopped at the Minmus asteroid along the way. We refueled the ships there and dropped off Wenxy. Maybe she'll think twice before stowing away in the future. 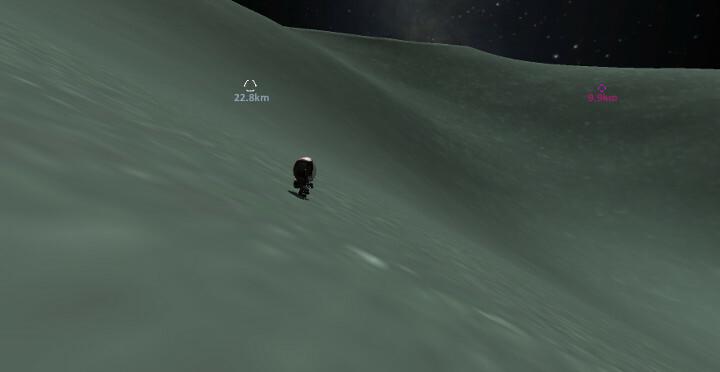 On toward Minmus. This is more or less the same rover we've been sending to the outer planets, so it will be interesting to see if it works. You know, you'd think that we'd land right side up at least 50% of the time, but no. Gregwell was so happy to see the rover he did flips! 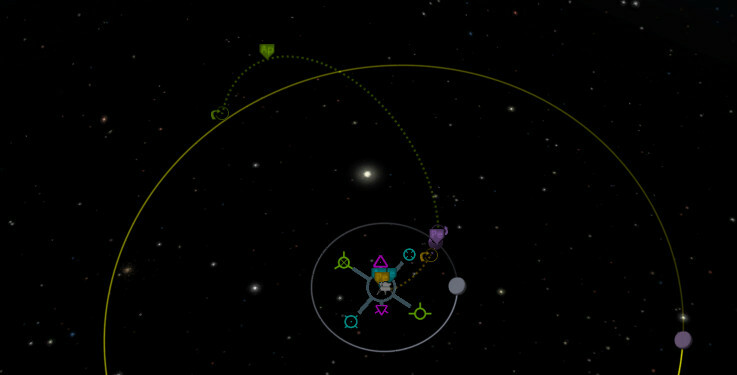 The rover handles OK despite having a broken wheel (and no level-3 engineer closer than the Mun). Still can't seem to pin down the anomaly. We're running low on greek letters here. Very thankful for the rover, although we're operating it mostly on rocket power and RCS as the broken wheel seems to be keeping the electric motors from working. The next place to checkout was deep down a chasm. We ended up sending the rover around the edge and had Gregwell fly down. At least the scenery is a bit more interesting than the first few locations. Finally found the problem! It's this unremarkable hillside. Hmmm. Well it's worth a flag at least. Also, I wouldn't necessarily classify this as "near" the base. Gregwell still isn't convinced this wasn't some sort of hazing by mission control. Well now what. Let's zip ahead a bit to the Eeloo window and send off our waiting ship! Phil-zor and Hangar are grimly optimistic this might work out. 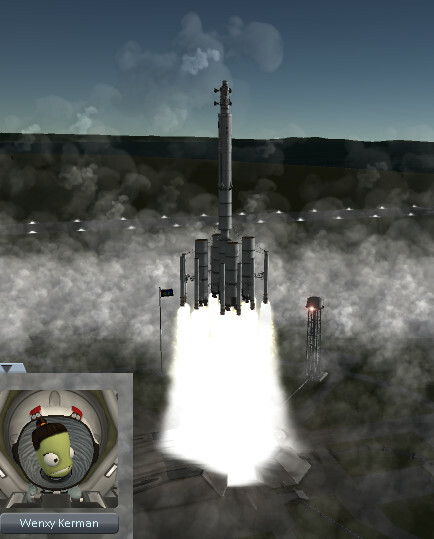 Despite getting a really nice intercept we took probably twice as much fuel as we should have. The problem is the nuclear thrusters have really slow acceleration, so we have to start 1/4 orbit early to have enough time for the burn and that really messes with the maneuver nodes. Still one more ship to launch, then almost two years until any of them get there. I'm also not convinced any of them are going to have enough Delta-V leftover to do anything interesting once they arrive.